The year in which Fulbert of Chartres is thought to have been born. 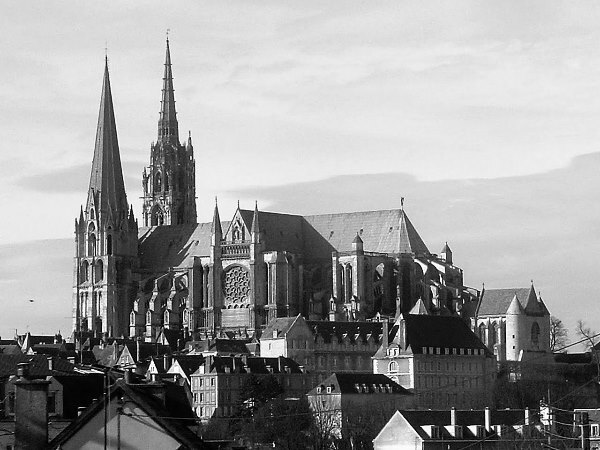 There is no definitive source confirming where he is born, but he is most closely associated with Chartres where he lived from around 990 until his death in 1028. He was initially a teacher at the famous Cathedral, where he was later ordained deacon, and eventually became bishop of Chartres in 1006. Chartres Cathedral burned down in 1020, and Fulbert was responsible for overseeing its reconstruction. Apart from his association with the liturgies of Chartres, and the famous cathedral, he is also known for his many writings which include many hymns. Most of his hymns are in praise of the Virgin Mary. His hymn Chorus Novae Jerusalem (‘Ye Choirs of new Jerusalem’) is an Easter hymn. The English translation of this hymn by Robert Campbell (1814-1868 and John Mason Neale (1818-1866), appears in many hymnbooks currently in use, usually with the tune ST FULBERT by Henry John Gauntlett, and was also used as a text for an anthem by the Anglo-Irish composer Charles Villiers Stanford. H.J. Gauntlett’s tune ST FULBERT, composed for the words ‘Ye Choirs of New Jerusalem’.